Want to have face-to-face conversations with over 2,000 Avaya customers at the biggest event of its kind in 2017? Download the Sponsorship Opportunities Brochure and let us help you reach your target goals! Please contact Hunter Cassady, IAUG Director of Partner Engagement, for specific sponsorship packages and details. 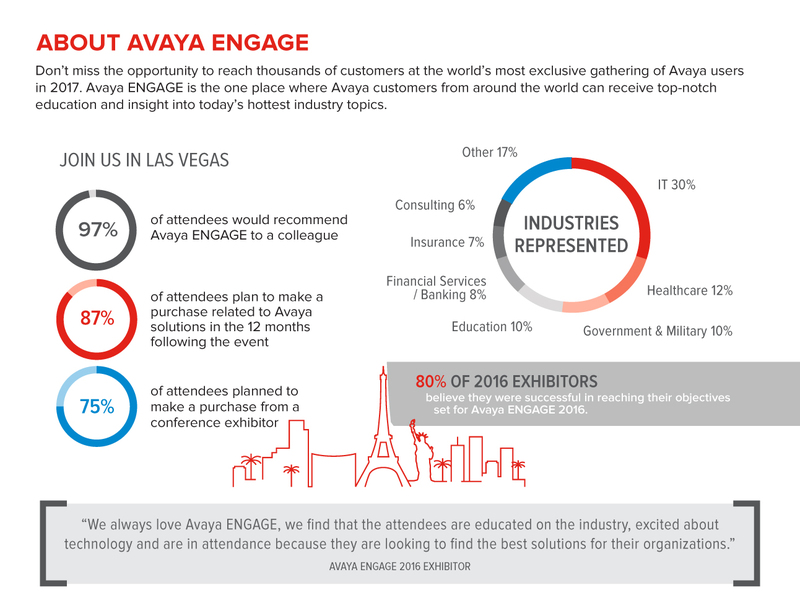 The earlier you become an Avaya ENGAGE Partner, the more opportunities you’ll have to build awareness with IAUG members and conference attendees!